The Order of St Faustin: Grand Cross, breast star (L), sash and sash badge (R). 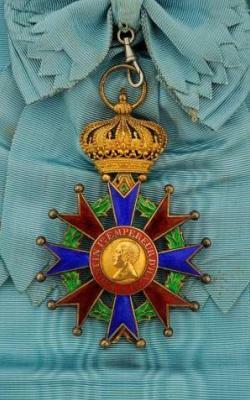 The Imperial and Military Order of St Faustin (l’Ordre Impérial et Militaire de Saint-Faustin): funded by Emperor Faustin I on 21st September 1849. Conferred in recognition of zeal, patriotism, merit and talent by officers in the military and naval services of the empire. The order consisted of the Sovereign in his capacity as Grand Master, the Heir Apparent, and three ordinary classes (1. 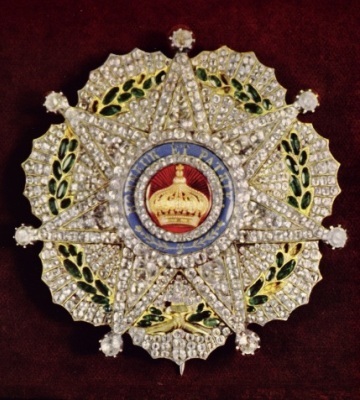 Grand Cross - conferred on all princes and dukes as of right, 2. Commander, and 3. Knight). Obsolete 1859. 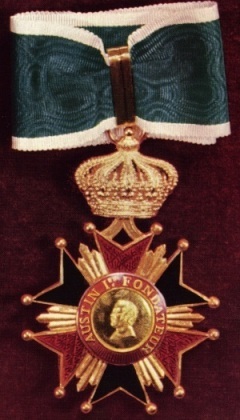 The Order of St Faustin: Commander, breast star (L) and neck badge R). 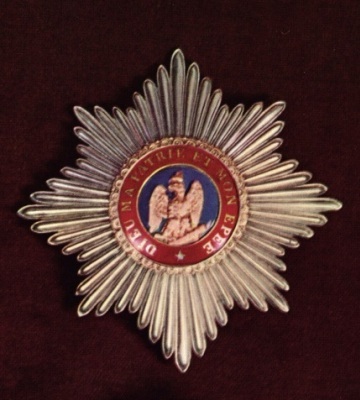 The Order of St Faustin: Knight, breast badge. 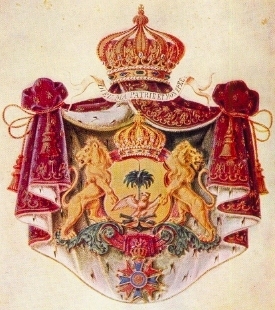 The Order of St Mary Magdalen (l’Ordre de Sainte-Marie-Magdeleine): founded by Emperor Faustin I on 31st March 1856 and united with the Order of St Anne, created on the same date, as testimony to the gratitude for the blessings of Divine Providence bestowed upon the empire and on the emperor. Conferred as a special reward for zeal, military service and fidelity, civic service and virtue. The order consisted of the Sovereign in his capacity as Grand Master, a special class (Grand Collar) and three ordinary classes (1. Grand Cross - limited 40 recipients at any one time together with those of the Order of St Anne, 2. Commander - limited to 120 at any one time together with those of the Order of St Anne, and 3. Knight - unlimited). Appointment to the higher classes was limited only to those who had first held the grade of Knight. Obsolete 1859. The Order of St Mary Magdalen: Grand Collar and collar badge. The Order of St Mary Magdalen: Grand Cross, sash and sash badge (above) and breast star (below). The Order of St Mary Magdalen: Commander, neck badge (reverse). The Order of St Mary Magdalen: Knight, breast badge (obverse). 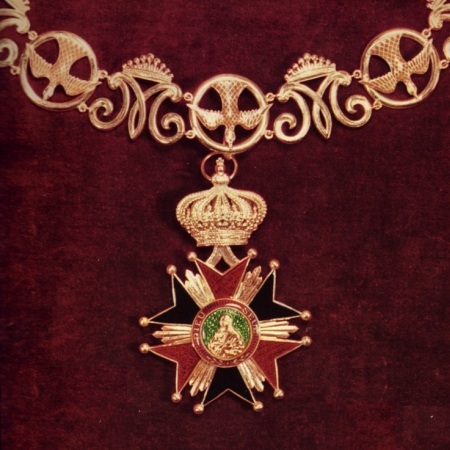 The Order of St Anne (l’Ordre de Sainte-Anne): founded by Emperor Faustin I on 31st March 1856 and united with the Order of St Mary Magdalen, created on the same date, as testimony to the gratitude for the blessings of Divine Providence bestowed upon the empire and on the emperor. Conferred as a special reward for zeal, military service and fidelity, civic service and virtue. The order consisted of the Sovereign in his capacity as Grand Master, a special class (Grand Collar) and three ordinary classes (1. Grand Cross - limited 40 recipients at any one time together with those of the Order of St Mary Magdalen, 2. Commander - limited to 120 at any one time together with those of the Order of St Mary Magdalen, and 3. Knight - unlimited). Appointment to the higher classes was limited only to those who had first held the grade of Knight. Obsolete 1859. 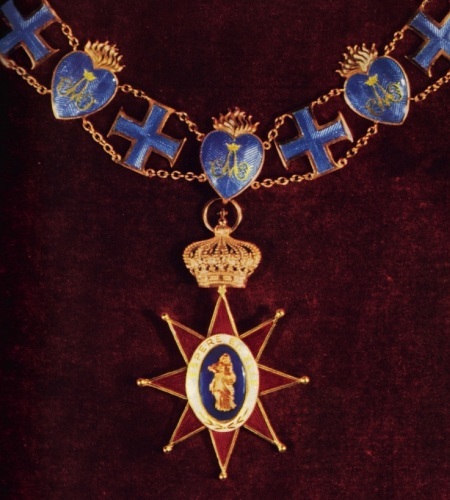 The Order of St Anne: Grand Collar and collar badge. 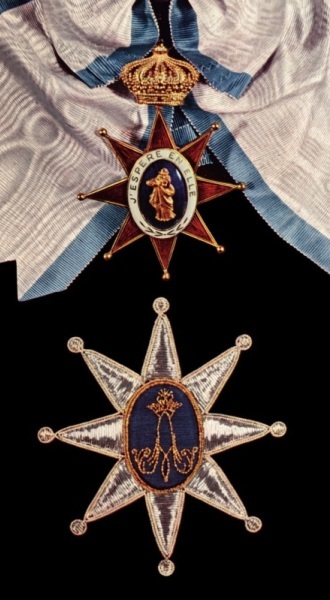 The Order of St Anne: Grand Cross, sash and sash badge (above) and breast star (below). 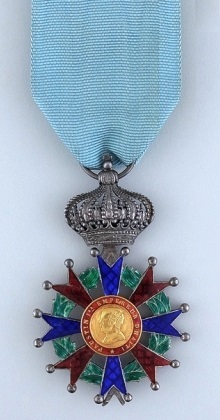 The Order of St Anne: Commander, necklet and neck badge (reverse). 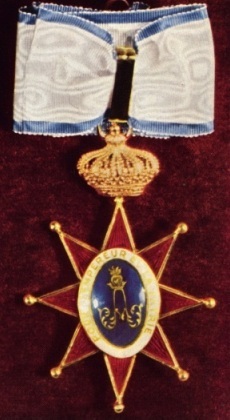 The Order of St Anne: Knight, breast badge (obverse). 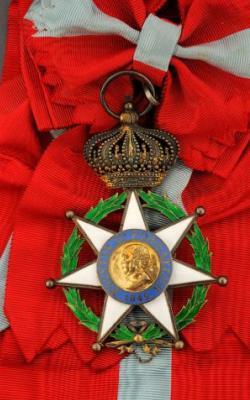 The Imperial Civil Order of the Legion of Honour (l’Ordre Impérial Civil de la Croix de la Légion d’Honneur): founded by Emperor Faustin I on 21st September 1849. Conferred on civil functionaries who merit distinctions for the services they have rendered to the nation. The order consisted of the Sovereign in his capacity as Grand Master, the Heir Apparent, and three ordinary classes (1. Grand Cordon, 2. Officer, and 3. Knight). Obsolete 1859.ight - unlimited). Appointment to the higher classes was limited only to those who had first held the grade of Knight. Obsolete 1859. 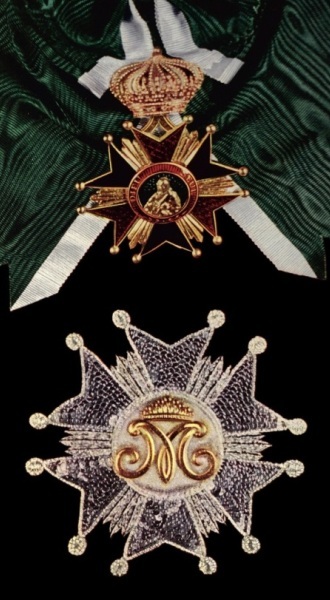 The Imperial Civil Order of the Legion of Honour: Grand Cordon, breast star in diamonds (L), sash and sash badge (R). 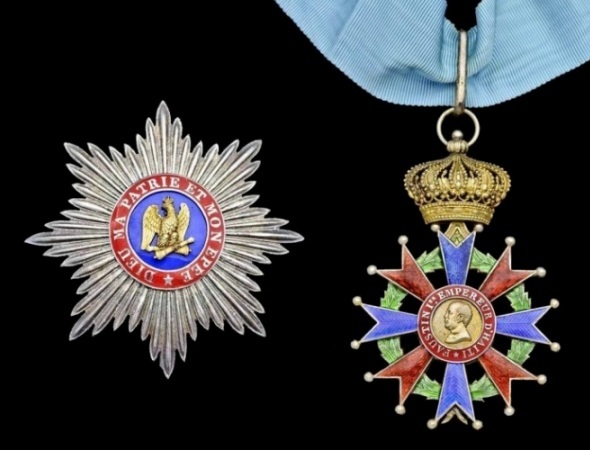 The Imperial Civil Order of the Legion of Honour: Officer, breast badge (L) and Knight, breast badge (R).